HorizonSat’s GSM backhaul solutions help Telco operators to expand their cellular network coverage to address the ever increasing communication needs for mobile applications, especially in rural areas. HorizonSat’s TV Distribution services offer different satellite solutions to ensure quality while distribution of TV & Radio programs over large geographical expanses. The services can be also be used to cover cultural, political and sporting content anywhere in the world. HorizonSat offers complete turnkey services to large corporations and governments in the area of transmission capacity procurement and network design. Through meticulous analysis of differing customer needs, we prepare link budgets that utilize best modulation and the latest equipment, to deliver highest throughput and utmost link stability., why not contact us. Telco’s and ISPs can be offered direct end-to-end Internet backbone access via satellite with any data rate in locations where terrestrial infrastructure is limited. 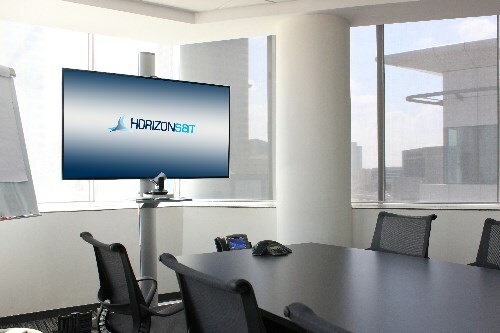 HorizonSat delivers broadband Internet and communication solutions to Telco’s, governments and large institutions. We deliver this through HorizonSat's VNO/CNO services, which enable customers to manage networks through our latest hub-based solutions in a customized manner. HorizonSat provides satellite capacity & integrated end-to-end network solutions through Point-to-Multipoint or Point-to-Point connectivity between various locations, thus facilitating businesses to conduct their day-to day transactions successfully and efficiently. HorizonSat provides offshore and maritime solutions that cater to demands for higher data throughputs to support bandwidth-intensive services such as video conferencing, Internet, VoIP and media streaming delivered on board ships, vessels, trains and offshore platforms. HorizonSat’s GSM backhaul solutions help Telco operators to expand their cellular network coverage to address the ever increasing communication needs for mobile applications especially in rural areas. HorizonSat provides complete disaster recovery solutions for client’s existing network to reduce any potential loss of revenue due to natural disasters & changing weather conditions. HorizonSat offers different satellite solutions intended for TV Distribution and Contribution to broadcasters to ensure smooth transmission. HorizonSat offers complete turnkey services to private and government entities, right from network design, satellite capacity procurement, hardware selection, installation, commissioning & training.